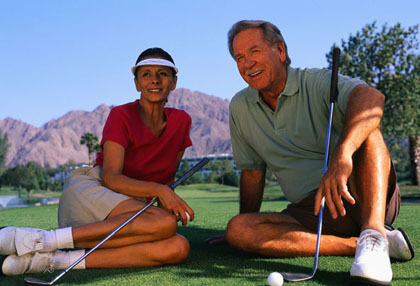 The Vein Clinic has largely replaced the older surgical techniques with more modern minimally invasive treatments. The information below is included for completeness. The results of the colour duplex ultrasound imaging pinpoint exactly where the varicose veins are coming from. If this affects large veins inside the leg then an effective treatment is surgical removal of varicose veins. Less invasive ways to treat these veins include laser ablation (EVLT) and ultrasound guided foam sclerotherapy. If the problem is simply spider veins or small varicose veins close to the surface of the skin, then the best treatment is injections (or “microsclerotherapy”). Surgery often requires a short hospital stay, usually no more than one night. The time of admission is usually a few hours before the operation and this allows some simple preparations to be made. No food or drink should be taken for six hours before the scheduled time of the operation, whether having a general or spinal anaesthetic. The surgeon will visit before surgery to confirm the proposed treatment and obtain a signature on the consent form. The anaesthetist will also perform an examination to confirm fitness for the intended type of anaesthetic. Surgery is usually performed under general anaesthesia, but a spinal anaesthetic is an alternative for patients who would prefer to be awake during surgery. The varicose vein operation involves tying off the source of any veins in which the valves have failed through incisions 3-4cm in length. These are made either in the groin or behind the knee depending on which veins are diseased. One stitch is required to close these small cuts which heal with minimal scarring. Where a large vein inside the leg is affected, that vessel is removed by a technique known as “inverting stripping”. To do this a special Swiss instrument is passed along the vein and then the entire length of the diseased vessel is inverted and removed from within itself and taken out through a tiny incision in the skin at one end of the vessel. This method causes less bruising and pain. Smaller varicosities are usually removed by a technique called “hook phlebectomy”. Tiny incisions are made in the leg (not more than 2 mm in length) over the varices. Again special Swiss hooks and forceps are used in order to avoid the need to make large incisions in the leg. These incisions are so small that no stitches are required, and they need only be covered by small plasters. At the end of the operation bandages are applied to the leg. These gently compress the leg, reducing swelling and discouraging bruising. After the operation it is possible to be up and about within a few hours and within one day of the operation your legs will be sufficiently comfortable for you to be able to walk normally. You should be able to go home the day after surgery. Before you go home, the bandages will be removed and firm compression stockings applied which should be worn for two weeks. Following surgical treatment for varicose veins, it is best to sit with the feet elevated and to avoid standing still for extended periods. It will not be necessary to walk for six miles a day! 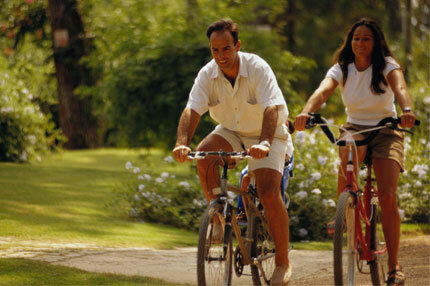 However, gentle exercise is very beneficial such as walking twenty minutes three times a day. You must not drive a car or make any important decision for 24hrs after an anaesthetic, however when it is comfortable to perform an emergency stop driving can be resumed. Short haul flights can be taken within 3-4 days but long haul flights are best avoided for 4 weeks after surgery. The immediate effects of the operation includes some discomfort and bruising of the legs. The discomfort is usually not severe and can be treated with simple analgesics. The bruising may last 2-4 weeks. Occasionally some discoloration remains for several months. The stitches (in the groin or behind the knee) should be removed one to two weeks after the operation. Most people able to return to work within a few days. Sometimes tender lumps can be felt in the legs where veins have been removed. These are small bruises and gradually disappear over period of weeks. Occasionally nerves in the skin are stretched during the operation leading to small areas of numbness or pins and needles near the incisions. These often recover, but sometimes permanent numb areas remain. The appearance of the surface dermal flares and reticular veins is not improved by the surgery and a few extra thread veins may occasionally appear. The long term outcome of carefully performed varicose veins surgery is excellent. The scars fade to tiny white marks over a period of several months and become very difficult to see. The veins which have been removed at the operation will never return, but sometimes the normal veins which have been deliberately left behind become varicose veins. These can be treated by injection or further surgery if necessary.